I have been building and tinkering since I was a kid in my grandpa's metal shop, buffing out old horse shoes and making furniture with them and building forts in the grove around my house. In college I studied physics, mathematics and philosophy. I have a particular fondness for solving problems and sitting with ideas and turning them over and over again. I find that I use math and science every day and especially when I am building, designing, creating and learning. I use scientific concepts whenever possible and am particularly influenced by proportion, repetition and geometric patterns that are found in the natural world. I started building and learning about tiny houses and architecture while living in West Marin, California. Most of my house building work has been done on one site at a farm on the coast. I am competent in many forms of building from concrete and foundation work to mechanical and electrical, framing, roofing, plumbing, drywall, electrical, finish carpentry and furniture making. I have a working knowledge of a machine shop and have been welding since I was in high school. What I don't know I learn quickly and am constantly looking to better myself and increase the breadth of my capabilities. 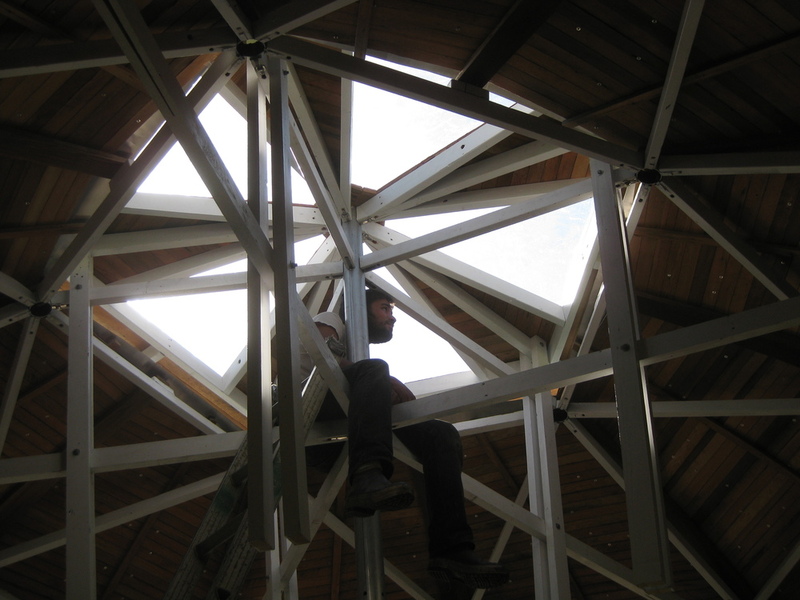 I worked with the Exploratorium to help design and build the textural exhibit experience for their tactile dome rebuild project in 2013. I am interested in the subtleties of the intersection of science, art and building. It is at this crossroads that I spend most of my time and it is enormously affecting of my work. I am also very interested in education and if a project involves teaching trades or skills, I would be more than willing to include someone in their project at any level of involvement. I want to be involved with challenging projects, working with the surrounding landscape to make pieces that are contextually appropriate and yet unexpected or unusual. I am a licensed general contractor in California but will travel anywhere in the world to work if the project is compelling enough. If you have a project that is baffling you or if you are having trouble finding someone willing to stretch beyond the standards or common practices, I could very well be the person for you. Contact me and let's talk about it.